Christians are by their nature a people out of place. Their true home is with God in civic life, they are alien citizens in but not of the world." In American Babylon , eminent theologian Richard John Neuhaus examines the particular truth of that ambiguity for Catholics in America today. Neuhaus addresses the essential quandaries of Catholic life,assessing how Catholics can keep their heads above water in the sea of immorality that confronts them in the world, how they can be patriotic even though their true country is not in this world, and how they might reconcile their duties as citizens with their commitment to God. 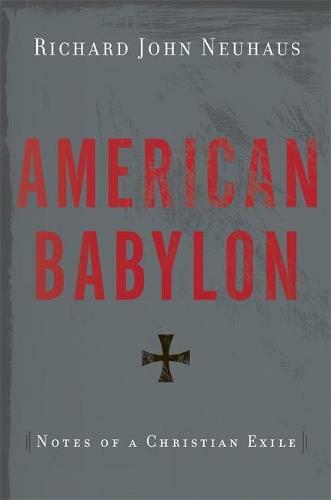 Deeply learned, frequently combative, and always eloquent, American Babylon is Neuhaus's magnum opus ,and will be essential reading for all Christians.